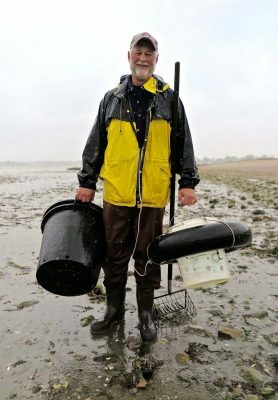 Despite rainy weather, about 100 people turned out for the Fairfield Shellfish Commission’s Annual Clam Clinic on May 19. Connecticut Sea Grant staff participated in the event and provided educational materials. The event drew both experienced and first-timers clammers, who could learn the techniques and borrow equipment from shellfish commission volunteers. 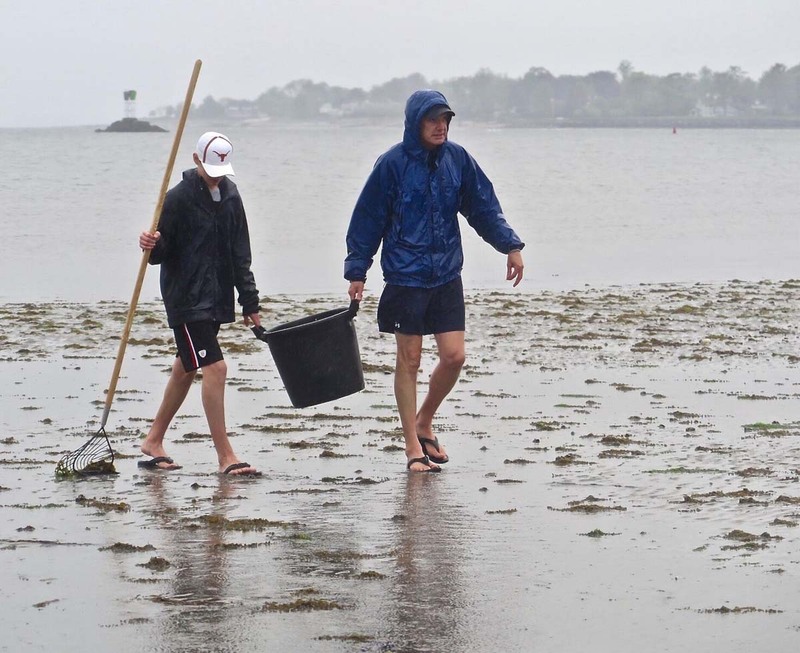 Rainy weather didn’t deter the hardy clammers from taking part in the clam clinic. 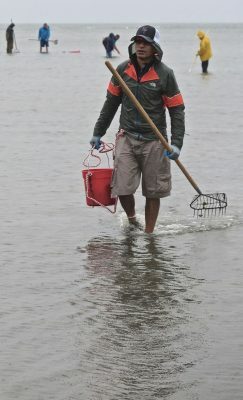 One of the clammers carries his gear to the clamming site at Sasco Hill Beach. 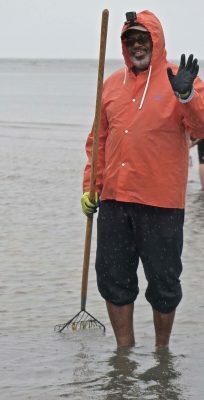 About 100 people turned out for the annual clamming clinic sponsored by the Fairfield Shellfish Commission. This entry was posted in News and tagged Education, Sea Grant, Shellfish.